Cholestasis underlies one of the major manifestations of drug-induced liver injury. 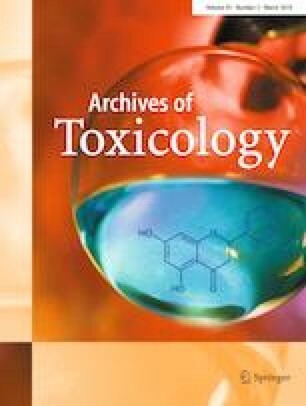 Drug-induced cholestatic liver toxicity is a complex process, as it can be triggered by a variety of factors that induce 2 types of biological responses, namely a deteriorative response, caused by bile acid accumulation, and an adaptive response, aimed at removing the accumulated bile acids. Several key events in both types of responses have been characterized in the past few years. In parallel, many efforts have focused on the development and further optimization of experimental cell culture models to predict the occurrence of drug-induced cholestatic liver toxicity in vivo. In this paper, a state-of-the-art overview of mechanisms and in vitro models of drug-induced cholestatic liver injury is provided. This work was supported by the Grants of the European Research Council, the Center for Alternatives to Animal Testing at Johns Hopkins University Baltimore, USA, the Fund for Scientific Research, Flanders and the University Hospital of the Willy Gepts Fonds UZ, Brussels.